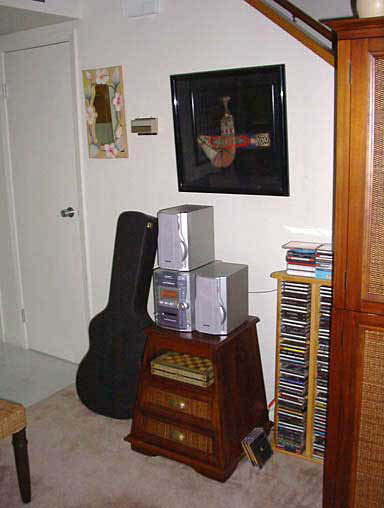 My mini-stereo plays CDs, and tapes, I can also pick up 2 Aramco muzak stations. Mostly I listen to U.S. Armed Forces Radio that plays news and many different talk shows, from Rush Limpbag to Field and Stream to Jim Rome's Jungle sports talk, YIKES! !